Why Jenna Wortham’s queer article misunderstands the marginalization in the word. 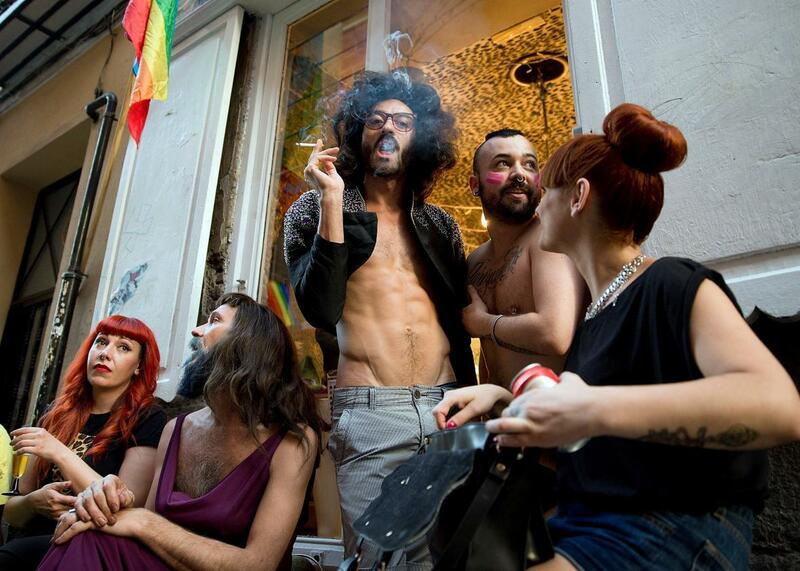 A man smokes in front of a hairdresser’s shop in the Chueca neighborhood of Madrid, Spain, during the Madrid Gay Pride Festival on July 5, 2013. When we remove the focus on stigmatization from the word queer, we evacuate it of the only thing that made it a coherent identity in the first place. By focusing instead on inclusivity, Wortham’s article actually does the very thing it worries about: It depoliticizes the word. Queer goes from being a label that allowed the development of community across sexual identities to one that disavows that community. It is the difference between “I am a lesbian who is against the oppression of sexuality generally, therefore I identify as queer,” and “I identify as queer because it does not pin me down or connect me to any group of people or actions.” But without its political center, the word queer is so meaningless that it seems unlikely that this kind of usage will overtake its original sense. There’s simply too little there to hold on to, and the alternative political meaning will always be uncomfortable for those who use the word in other ways.